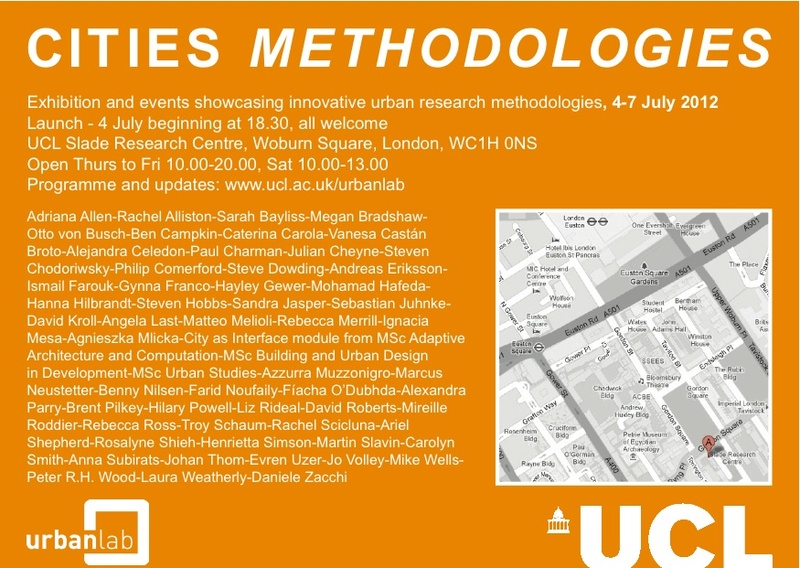 Follow us on twitter @UCLurbanlab and visit our Facebook page for further updates. ‘(in)Visible bodies: Migrants in the city of gold’ is a curated selection of three art projects produced by artists from and about the city of Johannesburg. The concept of ‘migration’ (as the movement of bodies from one place to another) is used as a framework through which to rethink the complex interplay between what is rendered in/visible by the symbolic, economic, political and historic dimensions of the city of Johannesburg. 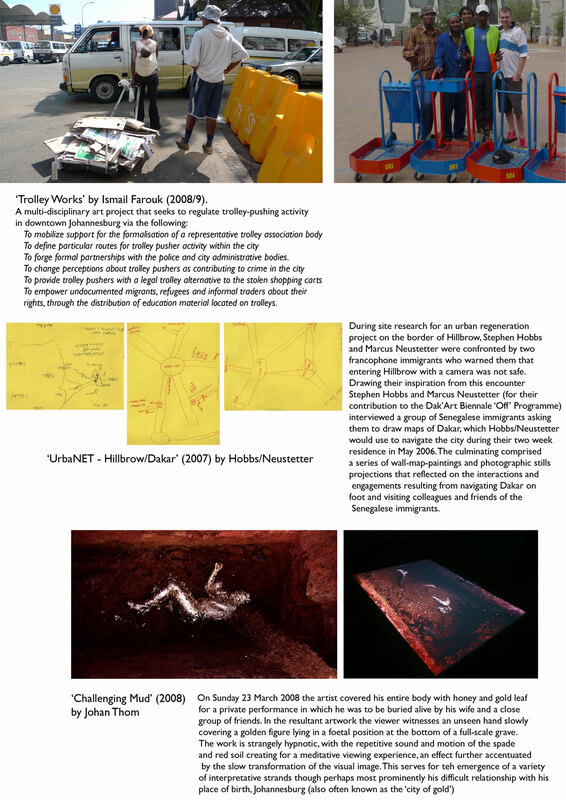 The three works are ‘Challenging Mud – after Kazuo Shiraga’ (2008) by Johan Thom, the ‘Hilbrow/Dakar project’ (2007-8) by Hobbs/Neustetter and the ‘Trolley project’ (2007) by Ismail Farouk.